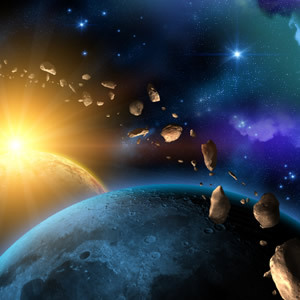 Asteroids in astrology is a subject of interest in recent times. Asteroids in the 12 zodiac signs too represent different aspects of your personality. Get free asteroid astrology predictions right now. You might have heard about the asteroid that might hit the Earth in a few years from now on or miss it. Also, you would have read about the asteroid collision that had created craters on Earth and Moon. Ceres: This is the largest asteroid discovered till date. To find the character of an asteroid in astrology, astrologers try to find the meaning of its name. Here, Ceres was the Roman equivalent of Greek goddess Demeter, who was the goddess of agriculture. When her daughter was kidnapped, she went searching for her so that Earth went into famine. So, Ceres zodiac sign in a person’s horoscope shows his longing for love and affection. Vesta: Vesta which is the second largest asteroid can be used by astrologers to determine your affinity and how your sexuality will develop. Juno: The third asteroid to be discovered, Juno, is associated with money and relationship. This asteroid is used in astrology as an indicator of how much love a person needs in a true loving relationship. Haumea: Haumea is the Hawaiian goddess of fertility and childbirth and also the name given to asteroid recently discovered in 2004. Hence Haumea can be considered to predict childbirth for a person in astrology. Eris: Eris is the name of dwarf planet which has also has its impact on astrology. Similar to the mythological figure Eris, people having influence of Eris on their life will be dishing out revenge in stylish manner. Also they might bring chaos into the world in a good or bad manner. Pallas: Pallas was the daughter of Jupiter in mythology and also the second asteroid to be discovered. Pallas in your astrology chart determines your relationship with your father. On the negative side, Pallas Athena deals with conflict, legal battles and injustice. Quaoar: Named after the Native American god of creation, this asteroid in your horoscope having conjunction with Sun enables you to be creative in finding solutions. Having Quaoar as ascendant in your birth chart, enables you to create perspectives for others. Sedna: Sedna who was forced by her father to marry him, then cheated by her husband whom she met when she was thrown away from home by her father and then drowned in the sea again betrayed by her father, changes into the goddess of sea animals. And this tragically mythological character’s name is given to an asteroid. So, one should be careful about the placement of planet Sedna in their horoscope or else they will face the same fate as what she faced in her life. Sedna signifies evil, stripping people off money and self-dignity. Ixion: The dwarf planet Ixion is related with how we put up with struggles in our life. Orcus: The dwarf planet Orcus has a place in astrology for a person who is more to himself and preserves a lot of secrets. Varuna: Varuna is a minor planet named after the Vedic God for rain. The planet’s influence in astrology is known for punishment of liars and those who violate contracts. Other asteroids like Hermes too contribute to your personality traits. Knowing the positions of the different asteroids in the 12 zodiac signs in your birth chart can help analyze their effects on your life.